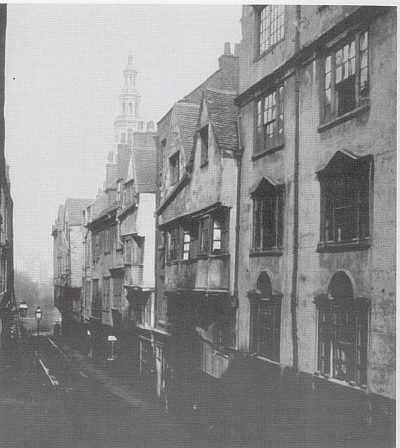 Wych street was an ancient medieval street full of old gabled sixteenth and seventeenth century houses (As the photograph left © of 1867 illustrates). It was thought of by many as the most picturesque street in London and was considered a important relic of London's medieval past. However this did not stop its demise as nothing remains now, even the street line has now disappeared. It was demolished by the London County Council in a grand improvement scheme from 1901-1905 as part of the wider redevelopment of the Holborn area which created the roads of Kingsway and Aldwych. 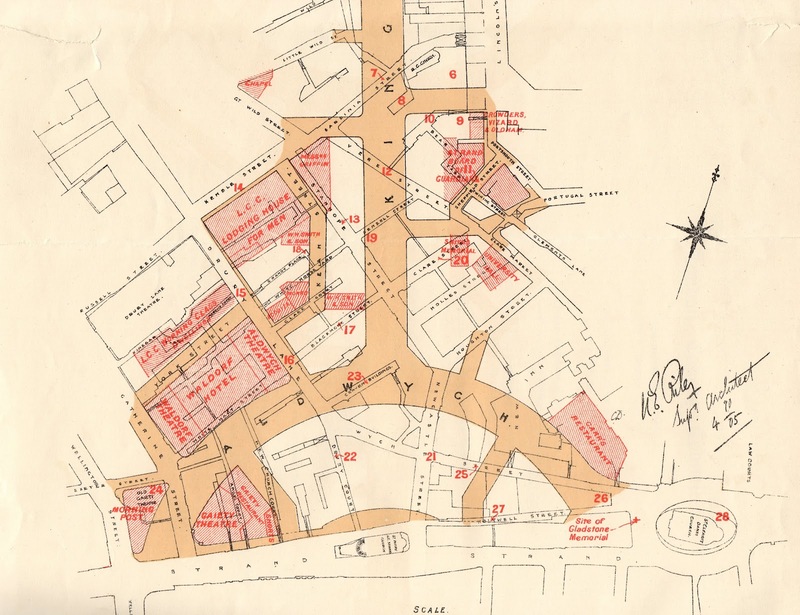 The scheme involved a new huge road (Kingsway) which destroyed any piece of history in thew way of progress. As the streets were so picturesque this made them narrow and hard to navigate through and thus a new through road was thought to be needed to ease the traffic congestion. The scheme involved wide spread destruction of over 600 historic buildings being destroyed. It was not just Wych street which was destroyed the whole historic district was demolished for the kingsway road, nearby ancient streets such as little Drury lane and Holywell street were also erased from history. Whats worse is that much of this area was not affected by the great fire of London meaning there were many streets packed with ancient houses of projecting jetties and gables. Although they were considered slums at their time of destruction with bad sanitation, they were historically very important streets. This area packed with ancient streets and courts which had evolved over hundreds of years was raised to the ground in a period of just four years for a series of large characterless roads lined with dull Edwardian buildings. The street is now located in the middle of the crescent of Aldwych and the strand which is now dominated by a series of large but architecturally undistinguished Edwardian office blocks including the BBC World service and Australia house. 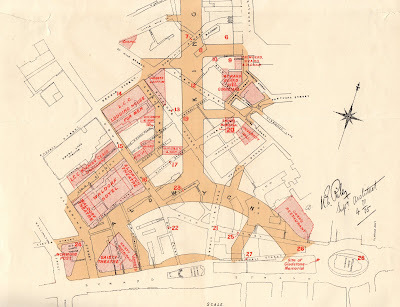 Below is a map © from the early Twentieth Century which shows the new roads along with the streets which once stood there. Wych street is located at the bottom by number 21 marked on the map. Thank-you very much Peter, some really great images there! How do you pronounce Whych Street ?? How sad this medieval street was destroyed.